Here’s a therapeutic twist on the classic Go Fish card game! 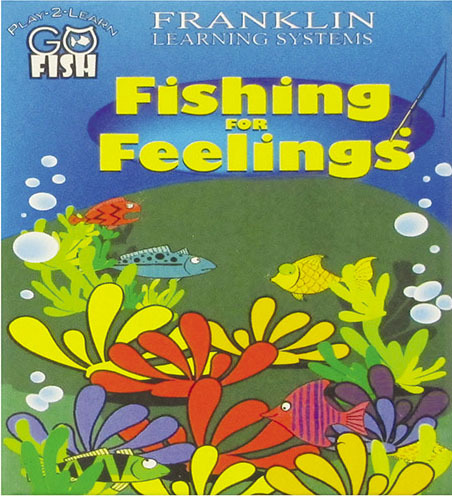 Hooked on Friendship and Fishing for Feelings teach youngsters about friendship and feelings. This week only, you can take 15% off* your order of Hooked on Friendship and/or Fishing for Feelings, and teach learners social and emotional skills with these easy and fun card games! Enter promo code GOFISH15 at check-out to redeem these savings. With two decks of 50 cards (one deck for grades K–2, the other for grades 3–5), the games are played by posing an open-ended question that the player must answer before he or she can request Henry Herring, Markey Mackerel, or any other fish needed for a match. Familiar and fun, Hooked on Friendship and Fishing for Feelings are an easy, affordable way for children to improve their social and emotional skills. Don’t forget to mention or apply promo code GOFISH15 at check-out with us to save 15%* on either or both of these card games this week! *Offer is valid until 11:59pm EST on May 26th, 2015. Not compatible with any other offers. Be sure there are no spaces or dashes in your code at check out! Written by: Different Roads to Learning on May 19, 2015.on May 18, 2015.